DEC 1 - 9:30 AM: Cyclone Ockhi killed eight people in coastal Kerala and Tamil Nadu and damaged dozens of houses in Tamil Nadu's Kanyakumari dstrict. It is now moving closer to Lakshadweep. 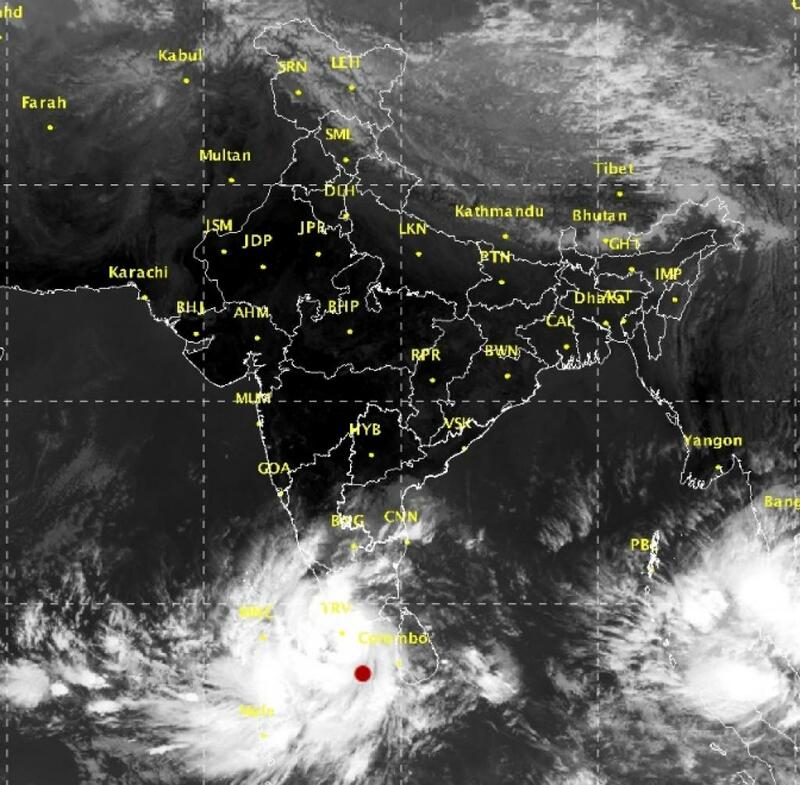 As of this morning, the cyclone is around 160 km east of Lakshadweep in the Arabian Sea. NOV 30 - 10: 30 PM: At least four people have died in Tamil Nadu as heavy rain and strong winds disrupted normal life in the state. Over 825 people have been evacuated from low lying areas of Tamil Nadu's Kanyakumari district, where about 985 electric poles were affected. Cyclone Ockhi is likely to gain a wind speed of upto 120 kmph by Friday morning. Lakshadweep, South Kerala and Tamil Nadu are likely to be hit by heavy rainfall. In Kerala, about 200 fishermen have been reportedly missing off the coast of Thiruvananthapuram. The Indian Navy has launched search and rescue operations in southern part of the state. A deep depression formed over Comorin area has gradually moved towards mainland Tamil Nadu with a speed of 38 kmph and intensified into a cyclonic storm ‘OCKHI’, according to the latest observations and satellite imageries. The cyclone is positioned at 60 km south of Kanyakumari, 120 km southwest of Thiruvananthapuram and 480 km east-southeast of Minicoy. The system is likely to move west-northwestwards towards Lakshadweep Islands and intensify further into a severe cyclonic storm in the next 24 hours, according to the forecast by the India Meteorological Department (IMD). Chennai received up to 600 mm of rain between 8:30 pm on Wednesday and 8:30 am this morning. Heavy to very heavy rainfall is likely over south Tamil Nadu and south Kerala during next 24 hours. Isolated heavy rain falls over interior Tamil Nadu and Kerala in the subsequent 24 hours is also being forecast. Lakshadweep area will see heavy to very heavy rainfall and isolated extremely heavy rainfalls over during next 48 hours. According to the IMD forecast, wind speed, reaching up to 85 kmph could be experienced along and off south Kerala during next 48 hours and south Tamil Nadu during next 24 hours. In the Lakshadweep Islands, the wind speed might reach 100 kmph by tonight. Cyclone Ockhi is expected to cause damage in south Kerala (Alappuzha, Kottayam, Idukki, Kollam, Pathanathitta, Thiruvananthapuram districts), south Tamil Nadu (Kanyakumari, Tutukudi and Tirunelveli districts) and Lakshadweep Islands. 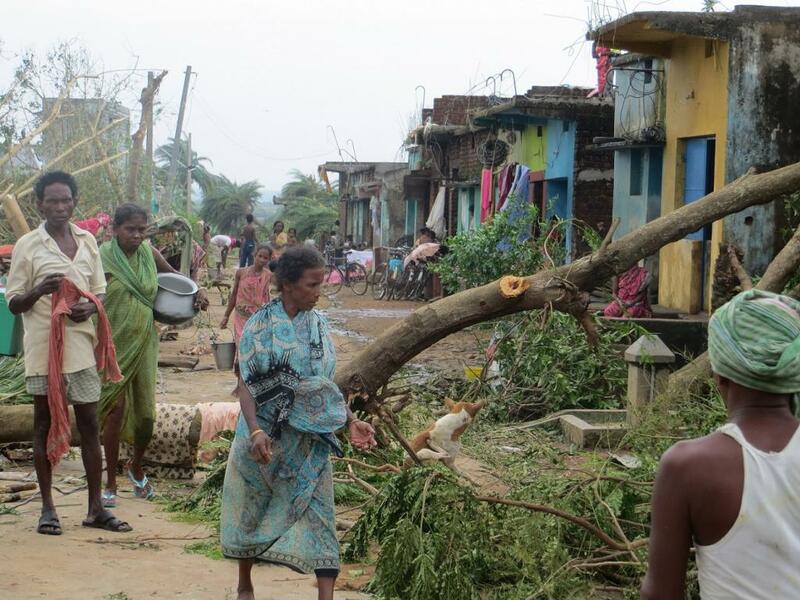 Damage to thatched houses, power and communication lines, paddy crops, banana, papaya trees and orchards is likely. In south Tamil Nadu, south Kerala and Lakshadweep Islands, fishermen have been advised not to venture into the sea during the next 48 hours. In the beginning of November, heavy rains in Tamil Nadu revived fears of a repeat of the 2015 floods that killed more than 400 people.